Infrastructure charges are legislated charges payable where new development is proposed. The charges are applied so we can fund the cost of providing new or upgraded trunk infrastructure. The legislation that covers infrastructure charges includes the SEQ Water (Distribution and Retail Restructuring) Act 2009, the Planning Act 2016 and related Planning Regulation 2017. When do infrastructure charges apply? An assessment of whether infrastructure charges are payable is undertaken as part of the assessment of all development applications that require water or sewer services. Infrastructure charges are not applied to developments carried out by other government authorities such as Economic Development Queensland priority development areas, Brisbane Airport Corporation, South Bank Corporation, Port of Brisbane Corporation and declared mining areas. How are infrastructure charges calculated? The Queensland Urban Utilities Infrastructure Charges Schedule (ICS) is part of the Water Netserv Plan (Part A). The ICS explains the charge calculation method and has the charge rates for each council area. Simplistically, infrastructure charges are calculated by reducing the assessed ‘additional’ demand generated by the new development, by the demand ‘credit’. A demand credit is existing demand on the site, for example, the demand created by an existing dwelling that is connected. The Water Netserv Plan – Charges Schedule will recognise a credit of one three bedroom dwelling on all lots in an existing serviced area when a Water Approval application has been lodged and infrastructure charges are applicable. An Infrastructure Charge Notice (ICN) is issued to the customer outlining the charges levied against the new connection. Where previous headworks charges have been paid to form the lot, we will recognise the money paid as a prescribed financial contribution (PFC), subject to adequate documentary evidence payment was made to council and has not since been refunded. Refer to Charges Schedule - Section 3.3.5 (page 26), Working out the discount for the prescribed financial contribution. When is the Infrastructure Charge Notice (ICN) issued? The Infrastructure Charge Notice (ICN) is issued within 10 business days of granting the connection approval and issuing the approval Decision Notice. Can I get a charge estimate? You can get your own estimate using the method and charge rates in the Infrastructure Charges Schedule (ICS), refer to Charges Schedule – Section 3.3.3 (page 23), Working out the levied charge, and Appendix B-F. If you require a more detailed charge assessment, lodge a Services Advice Notice. When are infrastructure charges payable? In most cases the levied infrastructure charges must be paid prior to us issuing the Connection Certificate. The legislation also permits that, where a Water Approval is associated with a reconfiguration of a lot development approval, the Infrastructure Charge Notice (ICN) may be paid at plan sealing. A customer should not make a payment on an Infrastructure Charge Notice (ICN), but should contact ICNEnquiries@urbanutilities.com.au to request a charges notice (sometimes referred to as an itemised breakdown). Queensland Urban Utilities must identify the value of trunk infrastructure conditioned to be provided by the applicant in the Infrastructure Charge Notice (ICN). This is called an offset, where the value of the infrastructure is lower than the charges. Where the value of the infrastructure is higher than the charge, a refund provision is calculated. This replaces the need to enter into a Water Infrastructure Agreement for the identified works, providing certainty to the developer that they will be eligible for work contribution credits and refunds. By law, Queensland Urban Utilities must keep available for inspection a copy of the Infrastructure Charges register. Contact ICNEnquiries@urbanutilities.com.au to arrange access. Since 4 July 2014, we calculate Infrastructure Charge Notices (ICNs) for transitional applications instead of councils. The council sends us the decision package on the same day as they send it to the applicant. We then undertake the calculation and issue the Infrastructure Charge Notice (ICN). We also do this for transitional permissible changes issued by councils. Applicants who have received an older transitional Adopted Infrastructure Charge Notice (AICN) from council should continue to make their payment to that relevant council. Our Infrastructure Charges Relief Policy offers eligible charitable organisations a 10 per cent reduction on water and sewerage infrastructure charges, up to a maximum of $10,000. The policy applies only to infrastructure charges associated with a Water Approval lodged and issued by Queensland Urban Utilities after 1 July 2014 and prior to 30 June 2017, unless revoked earlier. No retrospective assessment will be undertaken for transitional approvals lodged with councils prior to 30 June 2014. It does not apply to connection application or retail charges. To be eligible for financial relief, you must write to Queensland Urban Utilities when an application is lodged with us and or within 20 business days from the date an ICN is issued. You need to provide the organisation’s registration as a charity, together with documentation which demonstrates how the proposed development will advance the charitable purpose of the organisation. 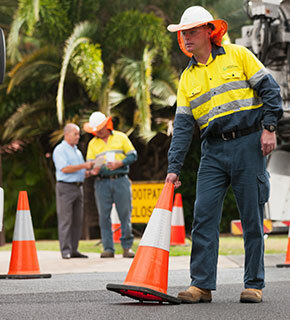 Within the Brisbane City Council area, Queensland Urban Utilities has successfully concluded this stimulus program on the 30 June 2018. Within the Locker Valley Regional Council area, if your student accommodation development application has been approved by Council, you can apply for reduced infrastructure charges on eligible property service and network connection applications. This stimulus program has been extended to 30 June 2019 for the Lockyer Valley area. For more information, contact developmentenquiries@urbanutilities.com.au. What is a water infrastructure agreement? A water infrastructure agreement is a contractual agreement between Queensland Urban Utilities and another party, generally a developer. The agreement is usually about payment for or a reimbursement of the cost of trunk water and/or sewerage infrastructure. It is used to vary conditions of development regarding payment of levied charges and offsetting trunk infrastructure against infrastructure charges when the issuing of an ICN with an offset for trunk works does not cover the situation. The agreement may be negotiated as part of the connection application process (Water Approval Process) or separately after. To apply for an infrastructure agreement you must write to Queensland Urban Utilities and request preparation of a water infrastructure agreement. Infrastructure Charges Notice (ICN): Issued to the developer outlining the infrastructure charges levied against the new connection. Water Approval: Authority given to a developer to make a connection, disconnection or alteration to our water or sewerage networks. Property service connection: Connections to a single property from our water or sewerage reticulation infrastructure. Network connection: Connection of new reticulation infrastructure to our existing water or sewerage networks.